The Douglas County Auditor/Treasurer's Office administers the disposition of tax forfeited lands. These are properties that are awarded to the state due to non-payment of taxes for five years (three years for commercial property located in city limits) and are then sold at county auction. Douglas County generally holds this public auction of tax forfeited land in the fall of each year - or possibly later if it is an election year. Exact sale dates are posted at the office of the County Auditor/Treasurer and published in the local newspapers as well as on this web-site. The next tax forfeited land sale is scheduled to take place on Wednesday, December 20, 2017 at 11:30am in the Douglas County Board Room located on the 2nd floor of the Douglas County Courthouse, 305 8th Ave W, Alexandria, MN. A list of properties can be found within the link "Notice of Public Sale of Tax Forfeited Lands." On the day of the auction, properties will be sold to the highest bidder, with minimum bids starting at the stated "Assessed Value" for each property. Payment terms are on a cash basis only. All property is sold "as is" and may not conform to local building and zoning ordinances. The county makes no warranty that the land is "buildable". All sales are final and no refunds or exchanges are permitted. The county is not responsible for the location of or the determination of property lines or boundaries. No warranties as to the physical condition of the property or soil conditions have been made by the county, its employees or agents. 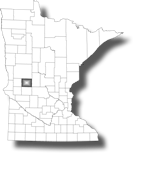 At the time of sale, the buyer will receive a receipt of the purchase and the Commissioner of Revenue will subsequently issue a deed from the State of Minnesota. As an abstract of title for the property will most likely not be received, services of an attorney may be necessary to make the title marketable. There are four documents currently available regarding tax forfeited land. Please read the Terms of Sale document carefully. It contains a complete itemization of the specified terms and information on additional costs. Notice of Public Sale lists the properties available at this time. Notice to Prospective Purchasers/Owners of State Land is relating to parcels offered for sale at the last public auction. Lands Available for Sale list parcels that were previously offered for sale at public auction and did not sell. These parcels are available for immediate sale at the Auditor/Treasurer's Office.